Dead Space – an excellent shooter with realistic graphics and sound effects. You play for Isaac Clark sent on space station for destruction of monsters teeming there. Move on the thrown space platform in search of new monsters. In the game there are some types of weapon, a part of which is tools for mountain production, also it is possible to battle hand-to-hand. A mobile version completely has the atmosphere of a computer game: you should make your way through dark corridors, fly in zero gravity and battle to monsters. 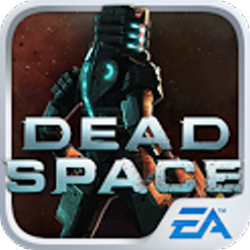 2-“com.ea.deadspace_row” folder “android /Obb” copy into.